The beginning of basketball season at Lone Peak High is like a holiday, something students’ mark on their calendar months ahead of time. Plenty of hype surrounded this years’ team, but that was just part of the buzz that filled the halls of the school. 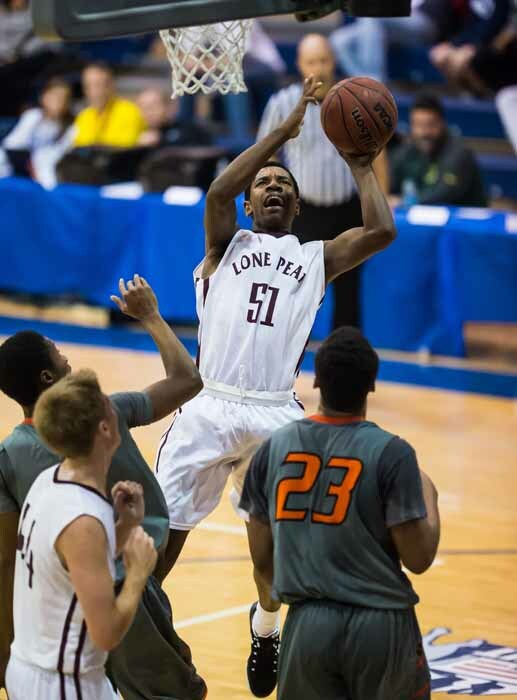 As students filed into their individual seats, there wasn’t talk about the talent of the team as much as there was talk about Lone Peak’s new starter from Las Vegas who donned the unusual number of 51. “It’s because they didn’t have the number 50,” said sophomore guard Christian Popoola. He was the talk of field house that night. While growing up in Los Angeles and living with his mom, Popoola made the decision to move to Las Vegas with his dad. The move is what got him into basketball. It all started when he was in the sixth grade. His original passion was skateboarding and his father had always been supportive of what his son wanted to do. It was Thanksgiving of that year when he made a decision between skateboarding and basketball. Christian recalls the conversation he had with his father. Throughout his middle school years, Popoola began playing basketball, but also took up other activities. In the sixth grade, he took a creative writing class that has helped him to take up poetry. It helps him “articulate (his) feelings.” He writes at least one solid poem a week. Behind basketball, guitar is the go-to activity. American author Erica Jong once said, “Everyone has talent. What’s rare is the courage to follow it to the dark places it leads.” Christian’s basketball talent immediately showed through due to his hard work. As an eighth grader, just two years after committing to basketball, he dropped 34 points and 11 assists in just the second half of a game. “After that game, I knew I could do amazing things on the court,” Popoola said. And amazing things he has done. After a year playing for one of the most athletically elite high schools in the nation, Bishop Gorman in Las Vegas, his dad received a job in Utah. 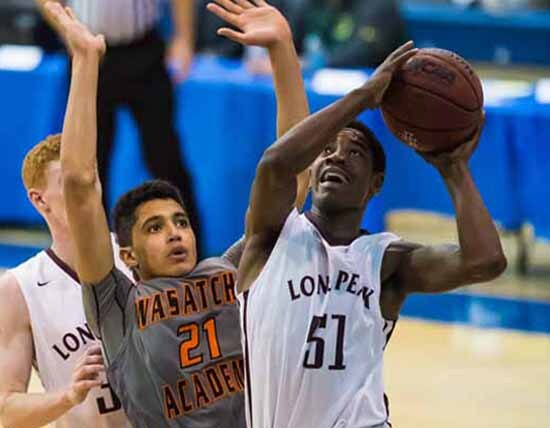 Christian PoPoola, Sr. was intrigued by Lone Peak’s very successful basketball program and now, the younger Christian Popoola finds himself a sophomore starter on the four-time defending state champion Knights. So far this season, Christian is second on the team in points, steals and assists. 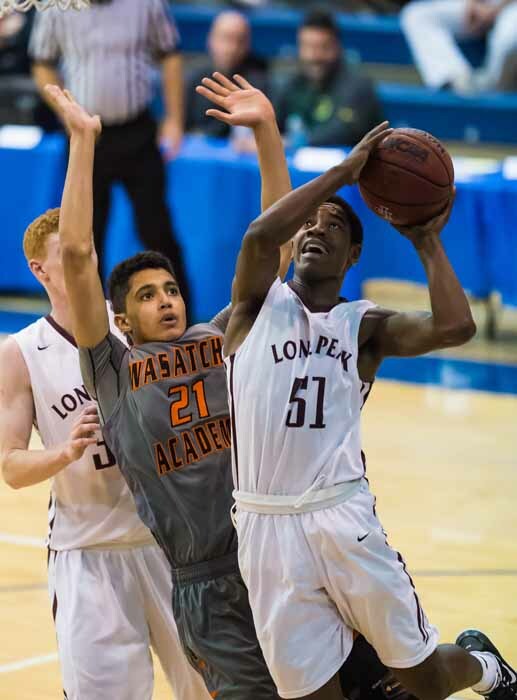 His most unique skill is his ability to break down opponents, attack the rim and finish by either keeping the ball or setting up his teammates for easy baskets, particularly the other part of Lone Peak’s double-edged sword – junior Frank Jackson. It is a pairing that has allowed Lone Peak to remain one of the most prolific programs in the state, and gives the team hope that it can bring home its fifth straight state title. So far this season, the combo of Popoola and Jackson has been deemed “unstoppable,” and since both will be back on campus next year, the possibilities are astounding. Who’s to say how good he will be by his senior year? After all, Popoola is a sophomore and has time to become one of the elites in the class of 2017. He is already getting a lot of attention from those who pay attention to the ranking of college recruits. What makes Christian different than a lot of athletes today is what he wants his trademark to be. A wise person once said that “talent will get you in the door, but character will keep you in the room.” If Popoola continues on the track he’s on, he has a chance to become one of Lone Peak’s greatest athletes. Even more than that, the combination of his character and athletic ability will have scholarships flying out of coaches pockets and basketball fans everywhere will look up to him for the person and athlete he is. 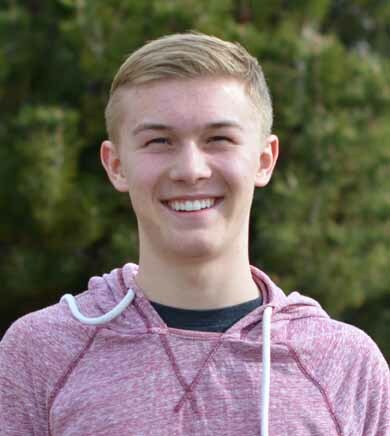 Lone Peak High junior Tanner White wrote this story as part of the Bank of American Fork student journalism program.